THE forthcoming governorship election in Lagos State is surely arousing the curiosity of most Nigerians for a number of reasons. 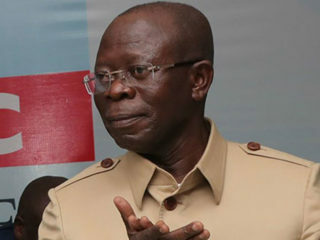 It presents an opportunity to further test the political credentials and clout of Asiwaju Bola Tinubu, unarguably the most influential politician and strategist in the south-western part of Nigeria, having previously been the governor of Lagos State from 1999-2007 and originator of modern Lagos State’s development template. The All Progressives Congress (APC) has chosen Mr. Akinwunmi Ambode, a former Accountant-General of Lagos State, as its flagbearer for the imminent election. Ambode, a Permanent Secretary under the Tinubu and Fashola administrations, whose credentials and accomplishment, as well as his Christian faith and origin from Epe, ticks the boxes of identity issues for the APC at a time when the concern with religious faith has become highly politicised. 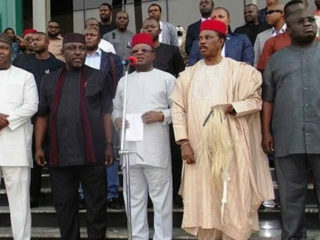 As with previous governorship elections in the state, the contest is between the candidates of the APC and the Peoples Democratic Party (PDP). The PDP candidate, Mr. Jimi Agbaje, surely represents a formidable challenge to Ambode’s APC, given the weight of the PDP at the federal level and going by Agbaje’s previous antecedents in the 2007 elections when he ran against the incumbent, Babatunde Raji Fashola. 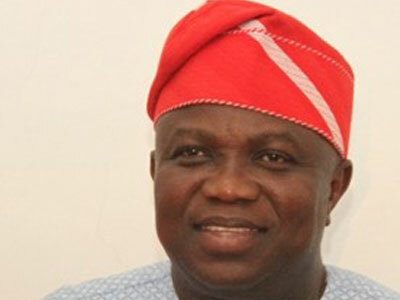 Ambode has a couple of advantages going forward in the February 2015 governorship election. First is the political goodwill enjoyed by the Tinubu-Fashola administrations in Lagos State, which gives the APC the political legitimacy, as a result of their excellent delivery of good governance in the state. Having served in the Lagos State Civil Service for almost three decades as Permanent Secretary and Accountant-General, respectively, and having the privilege of understudying both Tinubu and Fashola, Ambode appears to represent the continuity in governance that the APC advocates, which also resonates with most Lagosians. What appears evident from an examination of candidate Ambode’s Governance Plan is a focus on human security, as a people-centred idea of promoting the freedoms from poverty, need and fear. The Plan has service delivery as its core, which will be undergirded by the principles of Leadership, Accountability, Governance, Opportunity and Service (L.A.G.O.S). The Plan has as its main areas of focus: tourism, economic growth, community cohesion, equitable distribution of wealth, poverty reduction and the urbanisation of slums, human rights protection and provision of physical and social infrastructure — all in tandem with the present administration’s development blueprint. Of great importance in Ambode’s view is the need to distribute wealth to all strata of society. In the area of job creation, the Plan proposes the establishment of an Employment Trust Fund to the tune of N25b within a period of four years, with one billion naira earmarked for each of the five divisions in the state — Ikorodu, Badagry, Ikeja, Lagos and Epe — for the next four years. Also contained in the Plan is the establishment of a Small Business Loan Guarantee Scheme, to be managed by reputable stakeholders from the private sector and the civil society in conjunction with government. In order to achieve these set goals, the Plan has rightly taken into consideration the importance of engaging ‘Corporate Lagos’ to participate in the Employment Trust Fund. The realisation that the collaboration between the governmental, corporate and civil society sectors in the area of employment generation is critical for sustainability is quite commendable and must be adhered to in order to achieve success in this regard. On ‘Corporate Lagos’, the manifesto proposes measures that will attract and retain both foreign and local investors to Lagos, with the aid of e-governance solutions for business. Quite importantly, it prioritises the re-establishment of a middle class in the state, under strict adherence to the Rule of Law. Also, while recognising that multiple taxes/fees exist in the state’s tax codes, a pledge is made to remove them as soon as Ambode assumes office. The implementation of these measures will, of course, need to be done in an atmosphere of a peaceful and secure Lagos State. Despite Lagos’s huge population, it is generally a peaceful and stable state. This safety of the environment has been achievable through an effective alliance between the government and the security agencies. The Manifesto seeks to ensure a safe Lagos by expanding the role of the Security Trust Fund, pursuing the residents’ identity scheme, as well as the commitment to undertake Security and Justice Sector Reforms in the state. On Education, a number of initiatives have been highlighted for implementation. The emphasis is on the upgrading and creation of new e-libraries, in line with best global education practices; the upgrading of the state-owned tertiary institutions — the Lagos State University (LASU) and the Lagos State Polytechnic (LASPOTECH), as well as the introduction of scholarship schemes in the vocational and technical colleges. The plan to also establish an IBILE meal scheme in all public schools, which is a new one, appears to share common ground with the education strategy of the Osun State governor, Rauf Aregbesola, as part of the progressive policies that define the APC leadership in states across Nigeria. On Health, the Manifesto seeks to further improve upon the Primary Healthcare Programme, the harmonisation of private and public sector partnership in secondary healthcare, as well as the establishment of medic-parks and bio-parks in the state. Essentially, the implementation of the healthcare plan will not only boost the state’s healthcare, by making the system accessible to all and sundry, but it will also help to generate revenue for the state, as it attracts some of those who would usually seek medical care outside the country. The Plans on Agriculture and the Environment respectively emphasise job creation, self-sufficiency and subsequent expansion to export, the protection of the environment, and access to clean and safe water and air. On Tourism, there is a Plan to launch a project known as T.H.E.S.E, which refers to an integrated solution involving the systematic integration of Tourism, Hospitality, Entertainment/Arts Sports for Excellence, aimed at enabling the state to explore, execute and enshrine a new vista of jobs for the youths, women and vocational artisans. The attraction of visitors and foreigners to Lagos through this initiative guarantees a pronounced improvement on revenue sources. On Social Welfare issues, the Manifesto seeks the continuation of free education for primary and secondary school children, in line with the core principles of the APC. Underscoring the need to ensure the protection of the rights of children in Lagos State, there is an emphasis on the enforcement of the Child Abuse Law, and the criminalisation of child labour. Given that the youth population in Lagos State represents the highest number of its citizens, several youth empowerment schemes have been designed to harness the potentials of the youths and prepare them for leadership in the future. For instance, an internship scheme for the youths has been developed to keep them engaged while awaiting admission into tertiary institutions during the ‘gap year’. Youths are also to be encouraged to become engaged in community projects within their locality under the Lagos SPARK, a scheme that will provide grants for special community projects for a number of years. Under Governance, the Manifesto highlights the importance of a civil service that is responsive and efficient, and service delivery-oriented, based upon the means of e-governance. It also identifies the need to implement Local Government reforms that will improve the performance and relationships of the structures with the citizenry. Priority is placed on the exploration of opportunities for alternative energy sources. There are also plans to further expand the already-existing Independent Power Project (IPP), and the protection of the rights of Lagosians in their engagement with private power suppliers. On what is referred to as ‘Integrated System’, the Plan’s starting point is that the existing 29 bridges in Lagos are inadequate to cater for its huge number of motorists. It, therefore, seeks to expand seven of the bridges while also exploring the opportunities of pursuing an integrated transport management system that takes into consideration roads, a mono-rail system and waterways. It likewise intends to undertake an overhaul and expansion of the BRT scheme by introducing new bus routes and establishing a 24-hour bus service in the state. 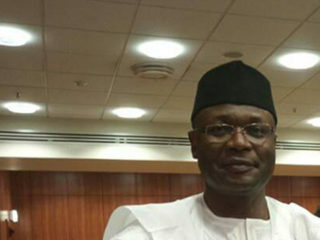 To finance these programmes, the Manifesto underscores its commitment to a 20-year financial and statistical planning on the needs of the state, as well as the establishment of a Lagos Finance and Development Commission, which will afford all stakeholders, including the private sector, civil society and government, to match the needs of the state with the financial resources required to achieve set goals. The Ambode Manifesto is a multi-sectoral blueprint having its raison d’être in re-visioning continuity in a manner that stands tall on the shoulders of the achievements recorded by the Tinubu and Fashola administrations since 1999. Its unique selling point is that while it does not seek to re-invent a progressive wheel that has made governance essentially people-centred and taken Lagos State so far, it still identifies the challenges inherent in the delivery of public services and proffers innovative ways to surmount them in a way that consolidates on the human security agenda. Candidate Ambode’s credentials appear to fit the bill for the tasks ahead. • Tunde, a public policy analyst, writes from the United Kingdom.